r a m y h a n n a . c o m: Testing materials with default lights...again! Testing materials with default lights...again! Have you ever spent hours texturing and lighting a scene, just to find out you need to change the textures on an object, and want to test the materials with the default lights after you’ve lit the entire scene? 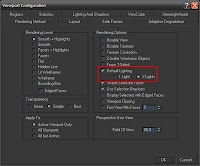 Before you add any lights in a scene, 3DS Max will render with its default lights. But once you add a light to your scene, the default lights are completely ignored. Even if you turn off your scene lights and hide them, you scene will not render with the default lights. Here’s a trick to test render with the default lights after you’ve added lights in your scene. Start a new scene. First go to Views->Viewport Configuration. 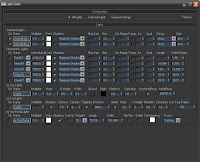 In the Rendering Method tab be sure under Rendering Options that Default Lighting is checked, and 2 Lights is selected, Otherwise, this will not work! Then hit OK.
Be sure that both Add Default Key Light, and Add Default Fill Light are checked. Also set the Distance Scaling to 1000.0 (this will allow the lights to work for a scene that is in any location with respect to the lights). Then hit OK.
Now when you render, your scene will be lit just as it was before you added any lights (even though you have all of your scene lights still there)! Of course when you want to render your scene with lights, then turn everything in the list back on, and turn off the Default lights. I read your Article on experimenting with MR, V-Ray & other Rendering Engines and u found MR Best. Do u rendering with 3ds Max Design 2009? Yes, currently I render using 3ds Max Design 2009. 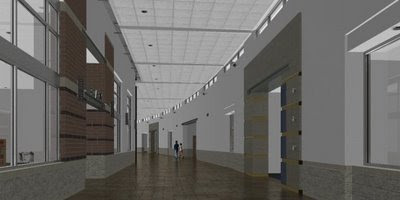 Do u know where 'E-books' & 'Study material' available for Learning Architectural Rendering with Max Design 2009 using MR? 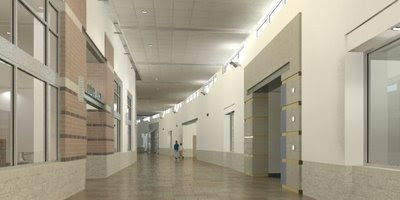 Also Please refer me Other Blogs, Web-Sites, resources, which r discussing Architectural Rendering with Max Design 2009? Also Your blog is interesting and having tips to enhance MR knowledge. Please stress upon Architectural Lighting and Rendering using MR.
Just thought I'd leave a comment to say thanks! This was exactly what I was trying to achieve. This is exactly what I was looking for but I can't get it. I'm using VRaylights and I find it imposible to test again only with default lights. Renders are overexposed, nearly everything white. be sure your v-ray lights are off, and only the lights created from the default light settings are on. Also, be sure you aren't looking through a v-ray camera or that the settings are similar to no exposure. I'm not sure I'm understanding this correctly...but there is no reason to have the Default lights on with the rest of your lights in your scene. Of course you can turn all of the lights on in your scene, but that will give you strange results. correct. However you can turn your daylight system off without deleting it and go back to the default lights. The lit scene is using GI & FG & mr exposure control...all three! so it means that you also used the default and photometric lights in the lit scene?.. can you differentiate the two images above ?...Thanks for the Help. Correct. The first image uses GI, FG and Photometric lights. The second image is what the render would look like without any lights. However the second renders scene still has the photometric lights in place from the first render, they are just turned off....hope that clears things up.